At St Philips Catholic Primary School we make Music an enjoyable learning experience. We encourage children to participate in a variety of musical experiences through which we aim to build up the confidence of all children. Teaching focuses on developing the children’s ability to sing in tune and with other people. Through singing songs, children learn about the structure and organisation of music. We teach them to listen and to appreciate different forms of music. As children get older, we expect them to maintain their concentration for longer and to listen to more extended pieces of music. Children develop descriptive skills in music lessons when learning about how music can represent feelings and emotions. We teach them the disciplined skills of recognising pulse and pitch. We often teach these together. We also teach children how to work with others to make music and how individuals combine together to make sounds. We also teach them musical notation and how to compose music. At St Philips Catholic Primary School we use the ‘Charanga Music School’ scheme of work. Through the scheme of work we teach the knowledge, skills and understanding set out in National Curriculum 2014 and the Early Years Foundation Stage Framework. The ‘Charanga Musical School’ Scheme provides teachers with week-by-week lesson support for each year group in the school. It provides opportunities to explore a wide range of musical concepts and experiences with clear progression, and engaging and exciting whiteboard resources to support every lesson. The long term planners show which units of the scheme are being taught in each year group. Music plays an important part in a child’s early development. The Early Years Foundation Stage Framework (2014) encompasses all areas of creative development, particularly in the area of Expressive Arts and Design. Music contributes to a child’s personal and social development. Counting songs foster a child’s mathematical ability and songs from different cultures increase a child’s knowledge and understanding of the world. Sing and play musically with increasing confidence and control. They should develop an understanding of musical composition, organise and manipulate ideas within musical structures and reproduce sounds from aural memory. 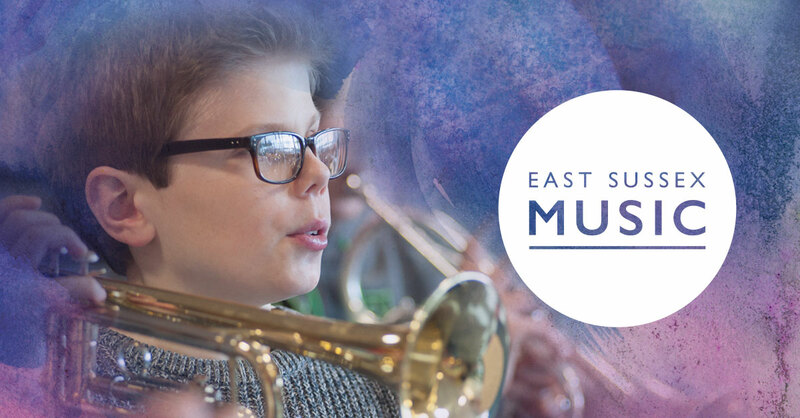 If you are interested in finding out how your child can learn to play an instrument through the East Sussex Music Service please click on the picture below.